Starting a bakery business is one of the best food business in Bangladesh. You would be one of them who make killer cakes for every birthday or churn out to-die-for donuts. So, you’ve come to the right place if you’re ready to turn your talents into a profitable bakery business. Those who were willing to share their great business advice we’ve teamed up with a few amazing bakers. If you want to plan, start, and grow a successful bakery then this guide is meant to give you all the ingredients you need. If you combine these tips with your impressive baking talents you’ll be on your way to success to get your piece of the pie. So, you’ve likely heard the warnings if you’re considering launching a new food-oriented business. But, you should keep in mind that restaurants, bakeries, and food markets often top lists of most challenging businesses to start. You’ll be creating a brand loyalty automatically if people try your baked goods and they enjoy them. Like many other businesses, bakery business is much profitable. Also, there are great demands for bakery goods in Bangladesh and this can bring huge money from the business. You’ll be able to establish a base of loyal customers that will frequent your business when they have a need for your goods as more customers give your bakery a try over time. As a profitable bakery business create a temptation for people like no other business, the odors of baked goods can make anyone feel hungry and make them stop in for some browsing. You’ve got a chance to beat the odds of having a successful business if you have a location that offers easy street access, good visibility, and a fair lease. Although a profitable bakery business requires an eclectic amalgamation of culinary finesse innovative marketing techniques, if you follow the bakery trends in Bangladesh it’s not as easy as it may sound. Conducting community research is the very first step you have to take after you have decided on starting your very own bakery venture in Bangladesh. Just like the other universal truths, the popularity and affinity of baking have remained constant. Under the western influence, many people took up baking as their venture. But, it’s not as easy as you’re thinking about because a lot of steps and procedures need to follow while doing this business. Now, let’s know the steps that need to start a profitable bakery business in Bangladesh. 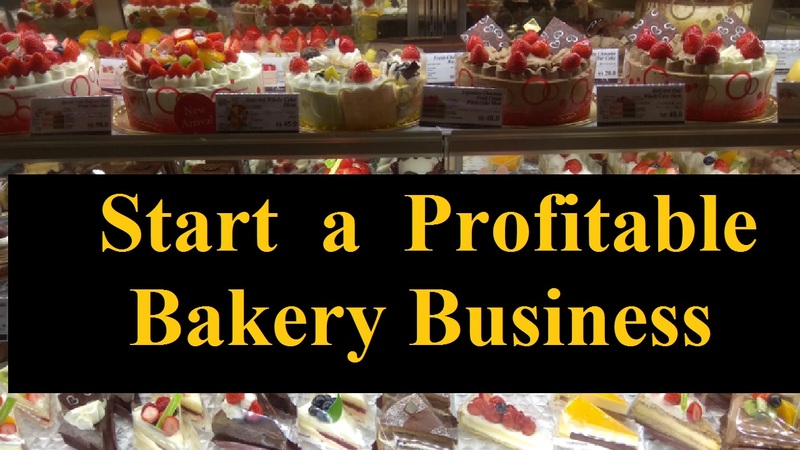 You need to create a business plan when you know what kind of bakery you want to open. If you have a solid business pan then this will force you to look at the business from every angle. That’s why you need good preparation in both – making bakery products and planning the bakery store that will allow you to open your bakery store with much more ease and comfort. This is the first and foremost step to thoroughly analyze what your core strength is and what unique stuff you are willing to showcase to the world. You’ve already got your space figured out if you’re running a bakery from your home. But, you’ll need a formal spot with a kitchen and an area for the public if you plan to invite customers into your shop. When you don’t want customers to walk through your shop, and just need a bigger, more equipped kitchen it’s a good option. You should be picky about whatever your needs are. So, research the area to make sure you find the right space and shop around, compare prices, and talk with neighboring businesses. As it might offer space and business training or mentorship at a reduced rate, it’s never a bad idea to look into small business incubator programs. Finally, be sure to think through the pros and cons and their related costs wherever you decide to run your bakery. You’ll dive into finances as part of your business plan. It’s the startup cost that’s one of the numbers you’ll need to generate. From appliances like ovens and refrigerators to smaller items like utensils and pans, you’ll need to compile a list of equipment. Although the equipment will be a one-time hit, you’ll also need money to live on while the business gets established. You need to sit down and figure out when you’ll break even and how much money you’ll need to survive until that time because you won’t make profits overnight. Revenue and expenses are affected by marketing. As does the cost of maintaining a business website, the cost of online and print advertising ranges from cheap to expensive. Also, when you expect to pay vendor booth or table fees to hand out samples at a farmer’s market or to exhibit cakes at a bridal trade show, word-of-mouth provides a no-cost, effective method of bringing in new customers to a profitable bakery business. Although you can spend all day and night in the kitchen creating the next best cake, it doesn’t matter if no one knows about it. This is because you have to set aside time and money to market your business. Artisan bread, cupcakes, and pastries are the common baked goods. Deciding which products to sell is the first step in making a profitable bakery business. Make note of their pricing and marketing techniques by making a canvass of your bakeries in the area. It will help you to find out what competitors offer. That’s why you should carve out a niche for yourself that isn’t currently being served. If there’s a need for such a bakery in your area you might decide to sell lavishly decorated cakes. On the other hand, pricing your baked goods impacts your profits. This is because pricing can be based on the cost of ingredients, your time and delivery expenses plus a percentage for profit.